Yes, he is back! 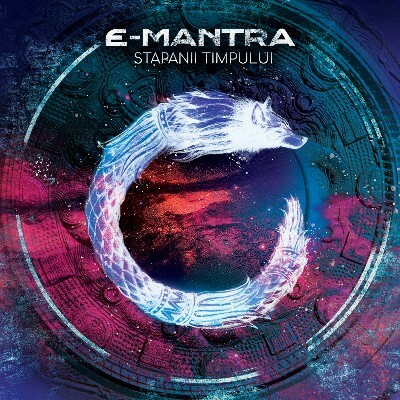 E-Mantra, one of the most famous protagonists of modern goa-trance, presents his 4th uptempo album on Suntrip Records! :) For this new fairytale, called "Stapanii Timpului", he was inspired by the ominous legends of his homecountry, Romania. Mantralicious! The album starts with "Rusalka", a huge dancefloor stormer with an enormous kick, followed by a darker pure acid 303-stormer: "Ghosts in the Mist". Slowly the album evolves in recognisable E-Mantra territories: darker acidic goa-trance with spooky melodies and massive bass. Tracks like "Ravenmocker", "At The Foothills of Kogaion" & "Typhon's Wrath" will destroy every trancefloor! During the last tracks we hear the first rays of sun again! Blisfull melodies accompanied by another dose of acid-sounds allover! To end this epic story E-Mantra shows his ability for downtempo trance again. No doubt, when this album hits the speakers, it will make you dance, smile and go crazy! And if you like it, dont forget the other classics by E-Mantra released on Suntrip Records! As usual the mastering is done by Tim Schuldt, for an extra crispy result!